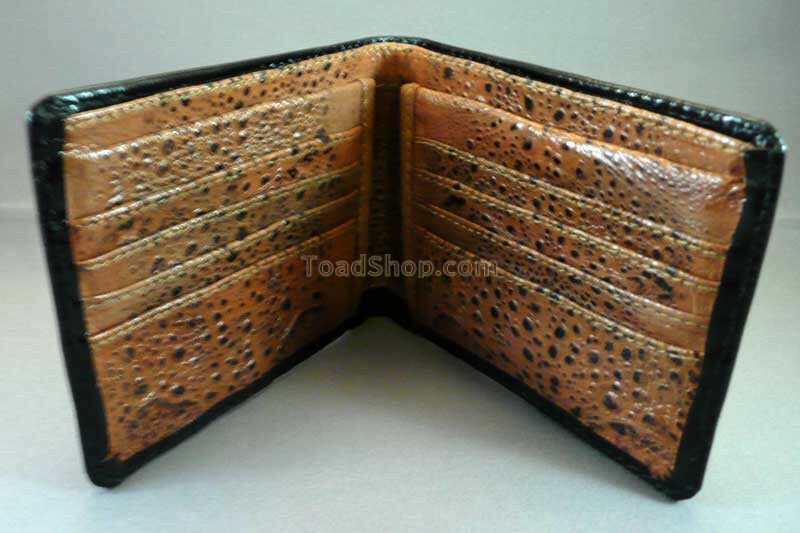 High quality mens wallets made with durable and unique Australian Cane Toad leather. 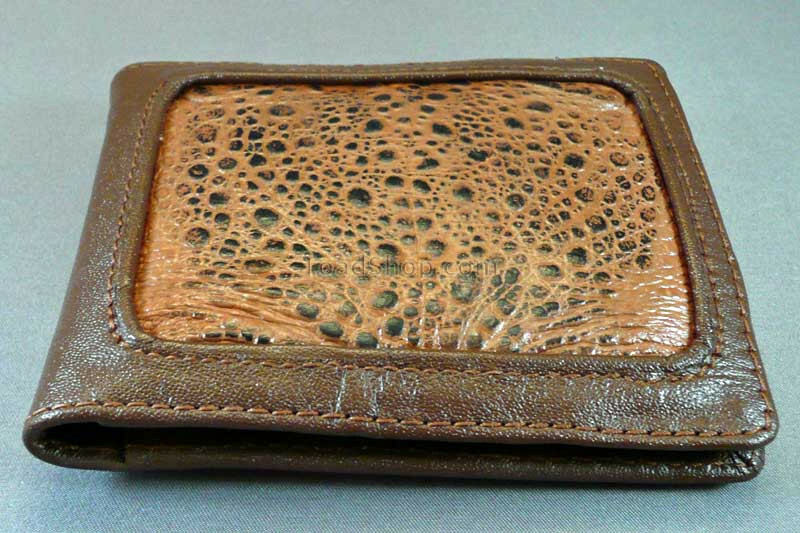 Both men and women are impressed with the quality of these wallets as well as the look and feel of the Australian Cane Toad product. 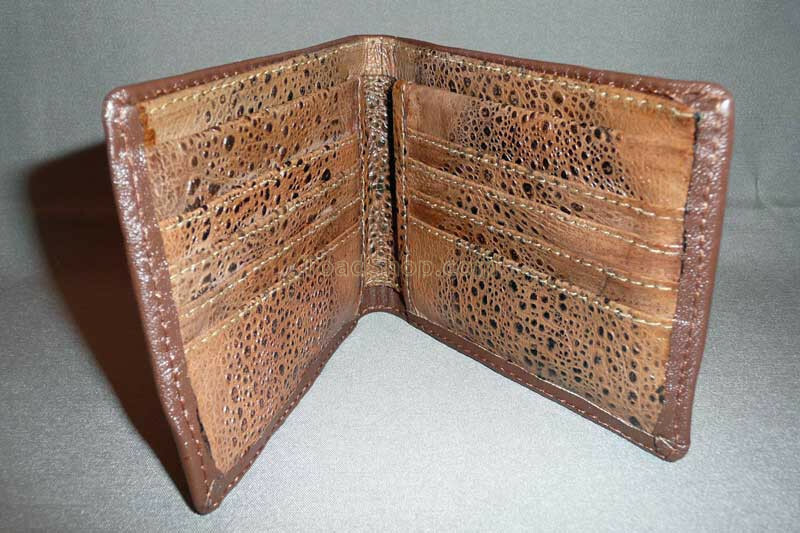 There are slots for credit cards and a divider or two in the currency section which can be used to organize your currency in one area and receipts in another. 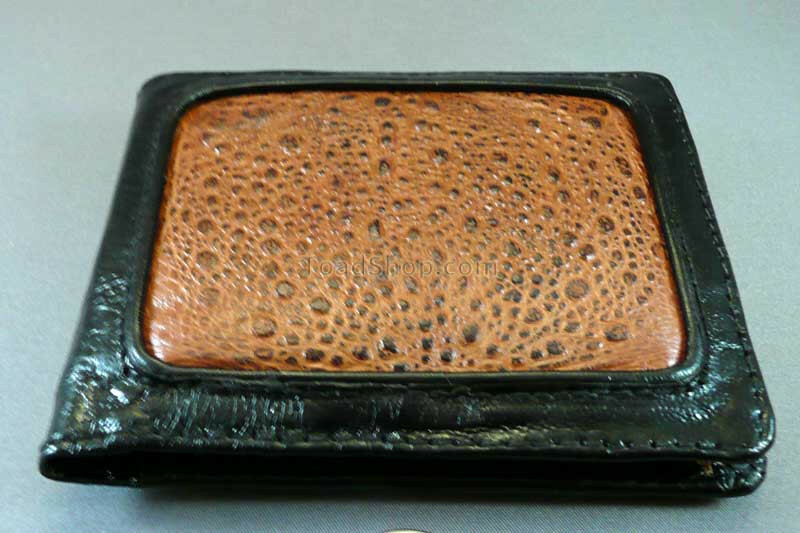 Choose between brown or black cowhide with inlaid Australian Cane Toad leather.